J0h1F wrote: Here's a picture of a BMP-2 in Finnish service with the launcher for the 9M113 Konkurs (PSTOHJ 82M) missiles attached. On a reasonable number of the vehicles they were kept as long as the acquired missiles had shelf life left, and were scrapped just in the 2000's. So that's one thing the game has wrong, there should be a variant of the BMP-2 with Konkurs in Finnish transports too. who cares about intro date, its a dlc nation! We both know that Finland isn't the worst offender in that regard, on the contrary. As for the BMP-2: AFAIK this was a post-Cold War doctrinal change, introduced after they had enough launcher units to re-arm the Brigade-level AT Companies with TOWs. Tiera wrote: We both know that Finland isn't the worst offender in that regard, on the contrary. Well MAYBE if they didn't buy all those hornets! But those damn memetic Rauma-Repola deep-sea submarines and Ronnie R ruined it all in the 1980s. According to my source (https://maanpuolustus.net/threads/miehist%C3%B6n-kuljetus.762/page-249#post-529981, link in Finnish), a FDF armored jaeger/panssarijääkäri trainer officer (who goes under the nickname "CV9030FIN" on some internet forums, he probably has been quoted here in earlier instances too), the Konkurs launcher was a part of the original installation from the 1988 acquisition already. Though, because it was difficult to use and could not be fired while on the move, it was often dismounted when possible to be used on foot, as per the tactics. The ammo stack was 4 missiles in each BMP-2. The Konkurs launchers were removed from the BMP-2's (and BMP-1's) in 2003, when the PSTOHJ 82M (Konkurs) was scrapped FDF-wide. The BMP-1 which were acquired from GDR stocks however at the end of the Cold War, were modified to the BMP-1PS standard between 1993 and 1996 (and the missile launcher was changed from the standard 9M14 Malyutka to the new 9P135M-1 Konkurs launcher), so the system was easier to use (I've yet got to ask more about them). But even despite this, the tactic was to dismount the Konkurs launchers usually when possible. EDIT: while there were the launchers for the Malyutka, missiles were never procured for them, so that's a moot case. So I see it that both the BMP-2 w/o Konkurs and BMP-2 with Konkurs should be available for Finland. 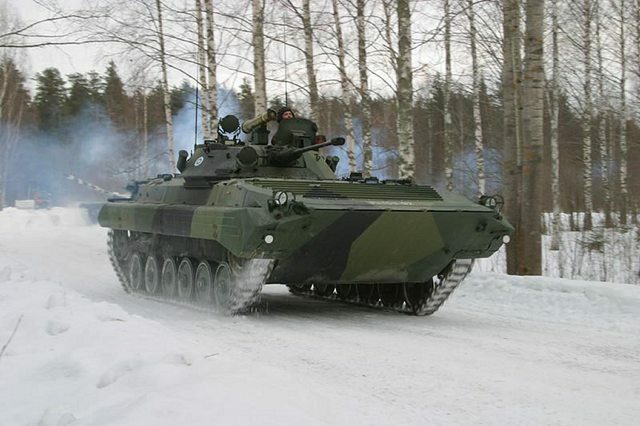 So should the BMP-1 have possibly also a 1993 proto with the Konkurs. Last edited by J0h1F on Thu 21 Sep 2017 22:50, edited 1 time in total. J0h1F wrote: The BMP-1 which were acquired from GDR stocks however at the end of the Cold War, were modified to the BMP-1PS standard between 1993 and 1996 (and the missile launcher was changed from the standard 9M14 Malyutka to the new 9P135M-1 Konkurs launcher), so the system was easier to use (I've yet got to ask more about them). Remember the alternative timeline. In a full scale war, the GDR wouldn't have given up their infantry fighting vehicles, just as West-Germany wouldn't have given up the majority of their Leopard 2s. 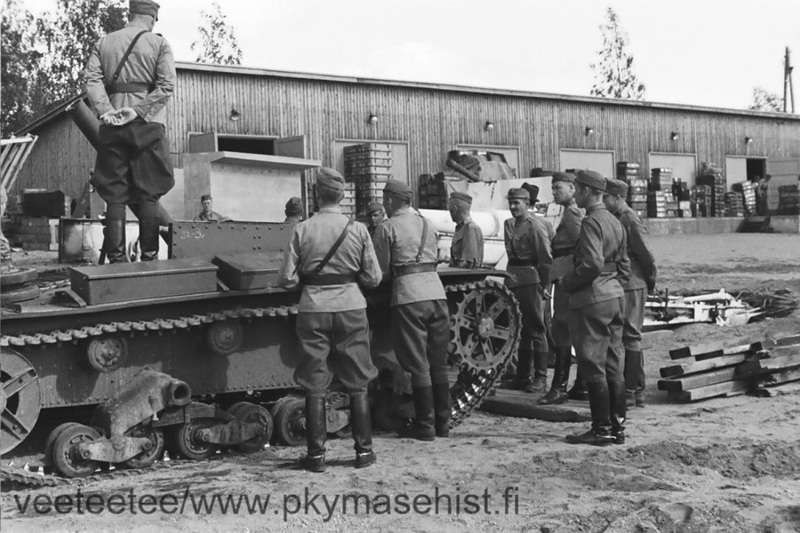 According to my source (https://maanpuolustus.net/threads/miehist%C3%B6n-kuljetus.762/page-249#post-529981, link in Finnish), a FDF armored jaeger/panssarijääkäri trainer officer (who goes under the nickname "CV9030FIN" on some internet forums, he probably has been quoted here in earlier instances too). From realism perspective both options can be argued for, with or without. The without one relies more on a doctrinal/likely combat employment argument which is a fairly rare one and in the few prior ingame examples that it has been used, has also been a negative one (usmc & lav transport, many different aircraft). However from a gameplay point of view the whole idea of finland in redfor was to add variety to the massive amount of copypasted soviet machinery with different nation-logos on the side. 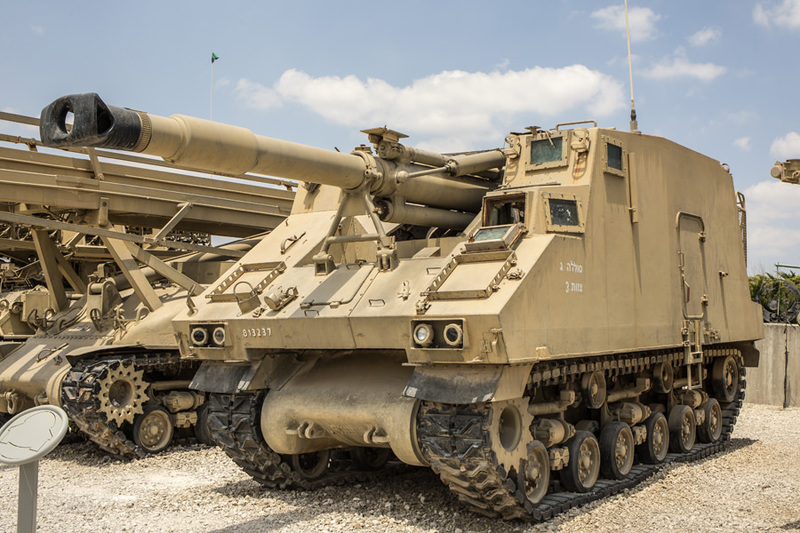 Missile-armed bmps in this regard can be found on almost every single redfor nation, so copy pasting one more wouldn't really add anything new to the red side, while a non-missile carrying one does. All natinal unit rosters are also limited in the amount of units they contain. Adding a missile+non missile variant would've then taken space from other units, while not offering anything that interesting to the roster. Also as far as Bmp-1+malyutka goes, malyutkas were never bought by Finland and their aiming system+ autoloader was removed when coming into Finnish service. Tho FDF had already obtained BMP-1's beforehand. But as Sleksa pointed out and I got to hear from the source, the Malyutka launcher rails were there but no missiles were bought for them, and they were subsequently disassembled altogether in the earlier batches, and in the late batches they were instantly replaced with the 9P135M. Apparently both 9M111 Fagot (PSTOHJ 82) and 9M113 Konkurs (PSTOHJ 82M) were used with the 9P135M launchers. I'm sure at least Eugen knows most of this, but for most others this is probably mostly new, unless they have paid attention to the thread from the beginning - and here's something that's new to this thread too, the Soltam M-72 mainly. The pictures in this post are only of those models which are of interest regarding the game, as adding all possible pictures would be pretty overkill and too much of a hassle. FDF had begun cooperation with Tampella in the early 1930's, when the generals wanted to find a factory to produce 81 mm infantry mortars at. At first they copied the market gold standard Franco-English 81 mm Stokes-Brandt mortar and even manufactured it under licence for Brandt himself for foreign sales. Tampella however soon found aspects that could be designed better, but Brandt disregarded Tampella's remarks and therefore Tampella started producing and over time improving its own design, which was exported to China (ROC) and Latvia. Tampella also produced other weapon systems than the 81 mm mortars, including Lahti L-34 autocannon, smaller 47 and 60 mm mortars, Bofors 37 mm AT guns (37 K/36) and Bofors 105 mm howitzers (105 H/37) at a licence, and the 120 mm mortar 120 Krh/40 which became the basis of the later Tampella and Soltam 120 mm mortars. During the WW2 Tampella repaired and upgraded existing Finnish artillery pieces as well as captured Soviet artillery and mortars. This led to Tampella also producing 82 mm mortars, however 82 mm mortar barrels were never produced in Finland (where WG:RD is wrong with the TELAKRH 71, as that should be a 81 mm mortar instead of 82 mm). 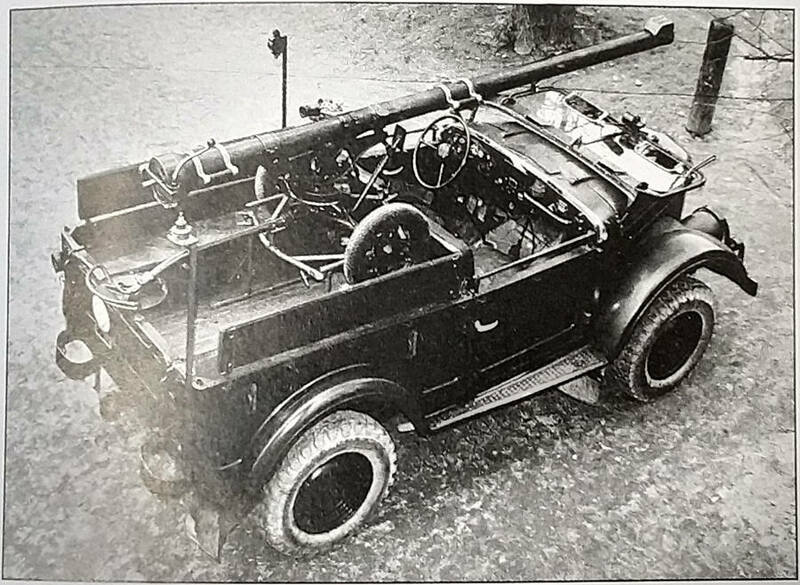 Tampella also designed a new, more powerful 75 mm anti-tank gun 75 K/44. They also produced a prototype of a 300 mm mortar, 300 Krh/42, which was the basis of the later Tampella and Soltam 160 mm mortars. This however appeared unsatisfactory, as it couldn't transport effectively both the crew and the rounds for the mortar together on it. The prototype was apparently stored however for quite a long time, I'm unsure for how long, so I'm not sure if it made to the time frame of WG:RD. It would be interesting to know if it did, as that would be a real Finnish combat-tested 120 mm tracked mortar carrier, in stead of the 120 TELAKRH 84 of which I'm unsure whether it was even tested in Finland or not. Anyway, due to the peace treaty Tampella was temporarily forced out of weapons business. However, they still retained the knowledge, and as early as in 1950 they started, thanks to active organising effort by a Polish-Finnish Jew Shlomo Zabludowicz, cooperation with the Israeli cooperative organisation Solel Boneh owned by the Israeli labour organisation Histadrut. Tampella sent machinery to Israel marked as "agricultural machines", and used the Luxembourgish company Salgad owned by them to mask the cooperation with Solel Boneh from the Finnish communists and Soviet interference, and a newly created Danish company Wejra to market the Tampella and Soltam products. Through Salgad, Tampella formed Soltam with Solel Boneh, originally owned 50/50 by Tampella and Solel Boneh, effectively making Soltam a subsidiary of Tampella. At around the same time, FDF received a good offer from USSR of a large amount of 122 mm D-30 howitzers (2A18, Finnish designation 122 H 63) at the time, so the more expensive Tampella 122 K 60 was ordered in just 15 units plus the one prototype. 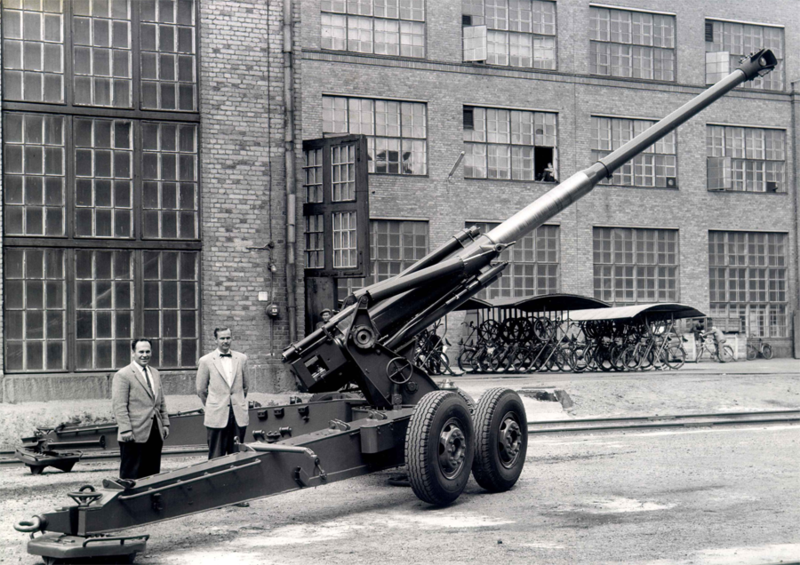 The prototype gun was then shipped by Tampella to Israel for trials at the Soltam testing ground in 1966, to support the development of the Tampella new larger calibre field guns. This was done in cooperation with both FDF and IDF, and the trials in Israel were observed by FDF officers. 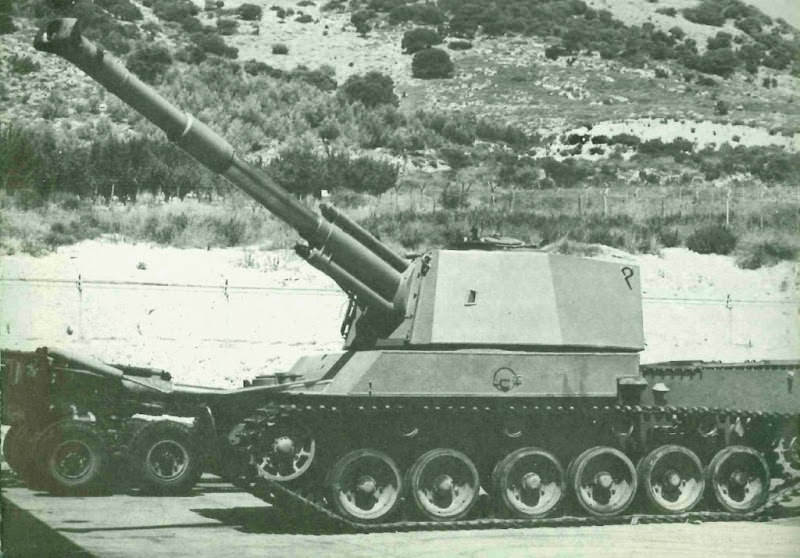 The 122 K 60 sent to Israel was returned to FDF in 1970 after through testing, which was all also observed by FDF. So this would be a historically accurate FDF prototype, as the very gun was FDF-owned during the trials also. At the same time Tampella engineers in Finland were also developing new mortars: 60 mm mortars (which later gained bad reputation to Tampella in Finland as they were sold by Soltam and some ended to rebel/guerilla groups around the world), the new 360-degree traverse 81 mm mortars 81 Krh 55, 81 Krh 56 Y, its longer barrelled variant 81 Krh 58 P, and their further development 81 Krh 64 Y. The 360-degree traverse was a new feature, which was made possible by the new, round baseplate (the WW2 mortar baseplates were rectangle shaped). The new mortars were lighter than the old WW2 81 Krh/38, but they weren't conscript-proof ie. they weren't strong enough to withstand the conscript training. The development was applied also to the 120 mm mortars, producing the 120 Krh 57 and 120 Krh 62A-H, which was also sent to be produced by Soltam as the M-65, and led to the Soltam K6 mortar and futher to the US M120 mortar. The Soltam M-65 was also mounted on the M3 halftrack, producing the M3 Mk. D mortar carrier. There are no pictures of it on the internet, but pictures of some 1/35 models of it exist. Tampella also developed a 160 mm mortar from the WW2 300 Krh/42, first the 160 Krh 53, then 160 Krh 55, 160 Krh 58C and latestmost the 160 Krh 58-67 (also 160 Krh 66D and Soltam M-66). The first 160 Krh 58C was sent to Israel in 1967 for trials, and there Tampella and Soltam smoothed out the remaining issues from the carriage to create the 160 Krh 58-67 or Soltam M-66. In 1968 it was first mounted on the M4 Sherman chassis to create the Makmat 160 mm and was brought to production in 1969. The model names of the 160 mm mortars are a bit misleading, as the real development happened slightly later than what the model names suggest. So this is the basis of the 160 TELAKRH 66 in WG:RD; historically, it'd be more accurate if it were the same Makmat which Israel also has, but I understand the reasons why Eugen wanted to use a different chassis for the Finnish 160 TELAKRH prototype, in this case the ATS-59. However if the Makmat were to have a Finnish name, it'd probably be either the 160 TELAKRH 66 as Eugen has figured out, or slightly less likely 160 TELAKRH 68. 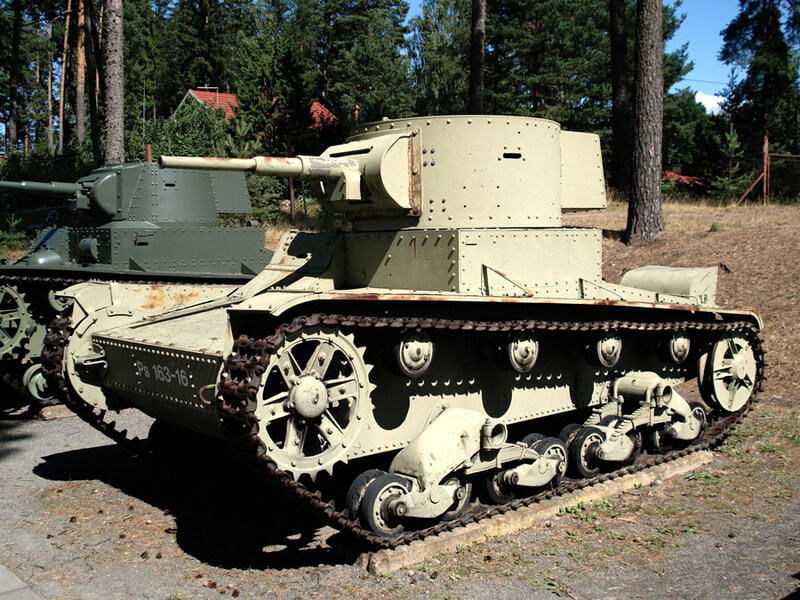 In my opinion it would be historically correct and wouldn't even require any meta-story if the Makmat were to be included as a prototype for Finland, after all, it was a prototype of a Finnish company and the trials were observed by FDF officers also. Interestingly enough, Tampella also developed saboted sub-caliber spear shaped HE-FRAG ammunition for the 160 mm mortars, which increased the range to over 15 km. The ammunition however had a smaller HE content than more conventional rounds, and the fusing was slightly problematic. With traditional ammunition both the 160 Krh 58C and 160 Krh 58-67 could reach a range of 10500 metres according to Tampella. I earlier mentioned Tampella starting to develop larger calibre cannons on the basis of the 122 K 60. 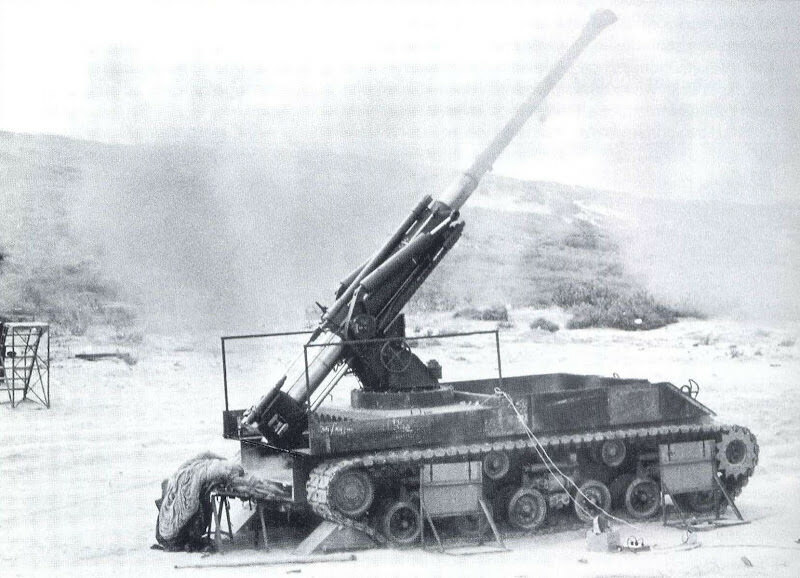 The first development was a 152 mm gun-howitzer 152HX-K60 in 1967, which was the first to omit the brass case for the charge, and use bare charge bags only. It led to the 155 mm calibre 155 HX in 1969, and with small improvements it became the 155 K 68 in 1970 (the model got the year 1968 because that was the beginning of the development of the 155 mm cannon) - which was also called 155KAN68 and Soltam M-68. 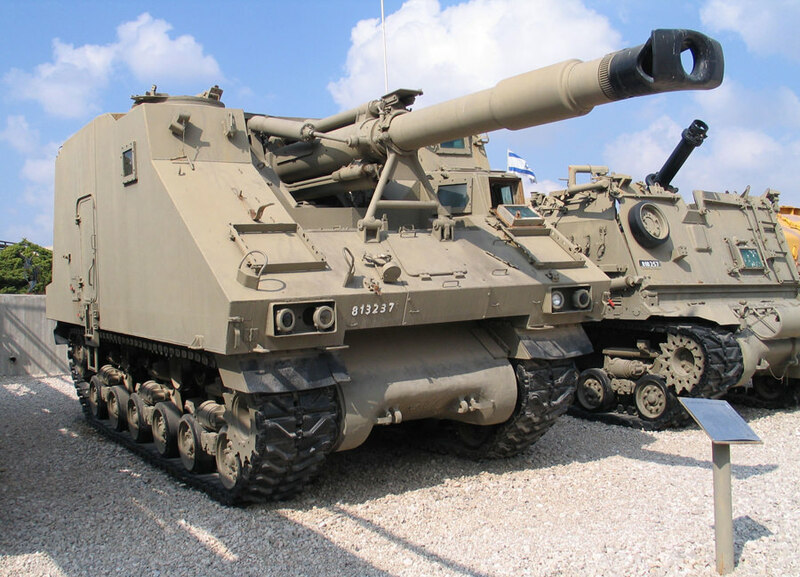 Indeed, Tampella produced the first 2 batches both of 12 cannons sold as Soltam M-68 to Israel, the first batch of them which was mounted again on the M4 Sherman chassis, whose armour shape was based on the trials of the 122 K 60, and the second batch as towed gun-howitzers. 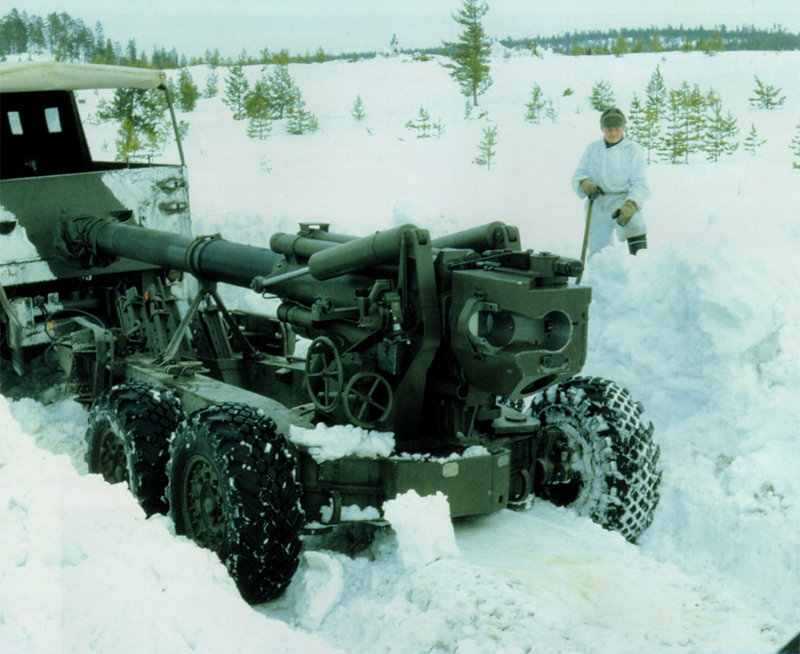 Tampella also produced the Soltam M-68 cannons sold to Singapore. 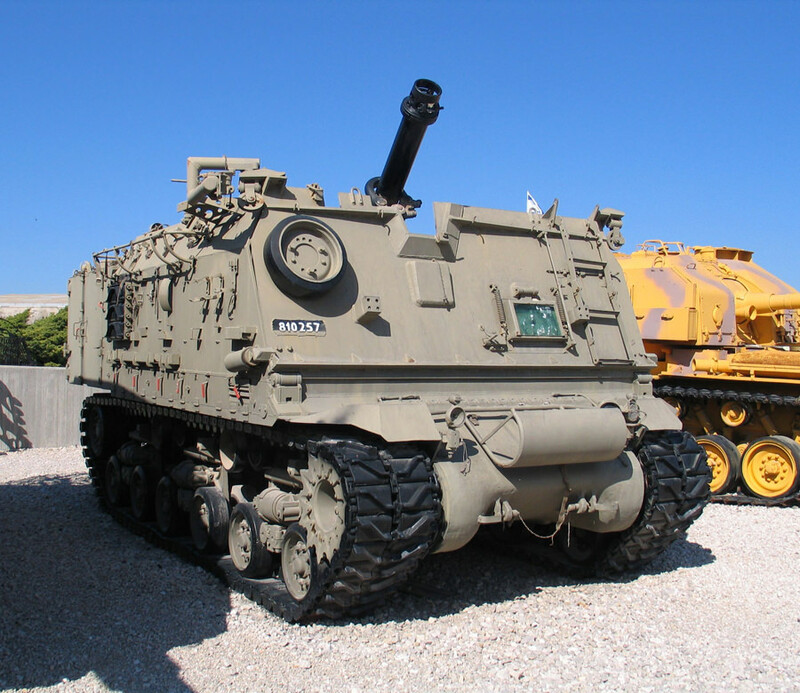 This self-propelled variant was produced in over 200 units in Israel, and went under the name Soltam L-33 or Ro'em. It's still in the reserve inventories in Israel. The 155 K 68 and the L-33/Ro'em has a maximum firing range of 21000 metres. The L-33/Ro'em would also be historically accurate as an SPH prototype for Finland. Tampella continued to develop the 155 K 68, and in 1974 a L/39 barrel was trialled for the first time, as the 155 K 68 M3. This development was also the basis of the Soltam M-71, which was created the same year, with its L/39 barrel (71 again marking the year when the development began). 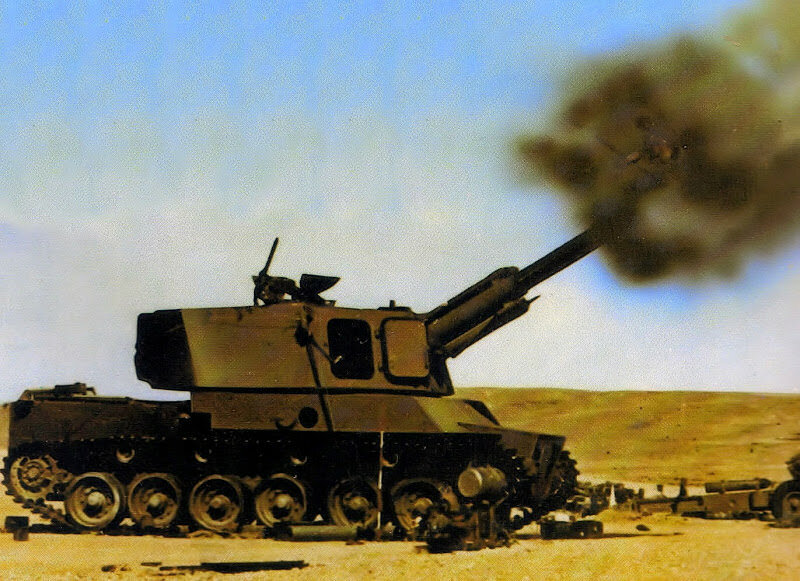 At Tampella the final L/39 barrelled gun-howitzer gained the name 155 K 74, however this version had a slightly different, newer and slimmer fume extractor, unlike the Soltam M-71. Before the 155 K 74 was ready at its final form, there were also a prototype called 155 HZ, which had electro-hydraulic traverse and elevation adjustment mechanism. 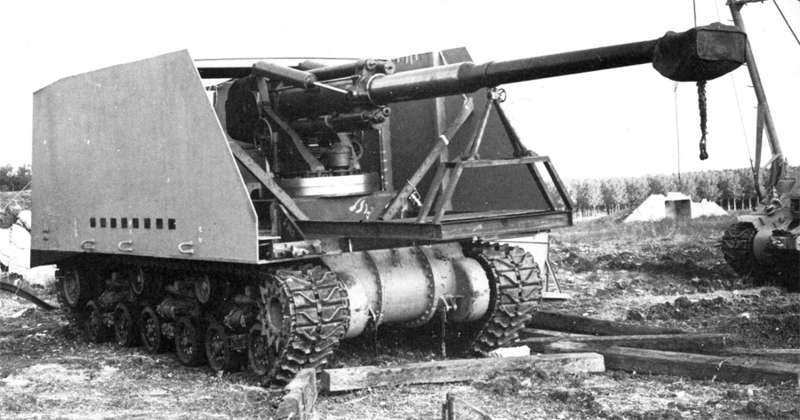 The L/39 barrel was also used in the first proper turreted self-propelled Tampella/Soltam howitzer, whose name was M-72. It was first supposed to mount the 155 K 68 L/33 barrel, but since the new L/39 barrel was developed, it was mounted instead. There are also drawings of it in the Finnish Central Business Archive. In the archives there should be more data of the SPH prototype, if someone could be bothered to go there. The turret has naturally 360 degree traverse, and the gun has a maximum firing range of 23 500 metres with standard ammunition and 30 000 with base bleed or rocket assisted ammunition (now to mention, if we go to meta, had Finland acquired those, it could have been upgraded when 155 K 83 came to service to the same maximum range of the 155 K 83, 27 km unassisted and 32 km with FDF base bleed ammo). It could store 34 rounds in its turret and a total of 60+ with a suitable hull with enough storage, the Centurion chassis stores 26. It could mount a .50 cal MG for air defence. Like the 122 K 60 - M4 Sherman, 160 KRH 58-67 - M4 Sherman and the L-33 the M-72 would have historically been correct for Finland as a prototype. Tampella also kept developing mortars, but the further development didn't interest Soltam as much now that Soltam had its own production running on the 1960's Tampella models. In 1971 Tampella developed the 81 KRH 71 Y, which is to date the most numerous mortar in FDF storage. There's a newer variant of it called the 81 KRH 96, which has an improved, lighter baseplate, but otherwise it's the same as the 81 KRH 71 Y. The same applies to the Tampella 120 mm mortars: Tampella kept improving them, and developed the 120 KRH 65 Y, and this was also ordered by FDF (the earlier post-war models weren't, as of the 120 Krh/40 there were still plenty of). The original 65 model had a floating carriage, and FDF ordered 15 units of it. It was later improved with a new carriage, to the model 120 KRH 65 73, and at this point FDF ordered more of them. Sadly, due to negative publicity (the political left was exaggerating and even spreading lies about Tampella exporting weapons to Vietnam etc., which led to several criminal investigations, in all of them Tampella was judged as not guilty though), Tampella had to cut its organisational ties to (ie. sell away its ownership in) Soltam at the end of 1974. Due to Soltam ceasing to be Tampella's subsidiary, Tampella never got any royalties from the M120 mortar sales and such. Tampella also had to give all of its patents (outside Finland and the USSR that is) to Salgad, the holding company through which Tampella used to own part of Soltam, before the end of 1980 (however at that point Tampella had already developed further the designs, so it wasn't anything but a monetary loss when the new sales of Soltam and Salgad no longer benefited Tampella). I'll continue this in another post now we've got to the point where the paths of Tampella and Soltam separated. One point I still have to add, I find it slightly odd that the TELAKRH 71 in WG:RD uses a Soviet 82 mm M37 mortar. While it's true that these mortars were numerously looted during WW2 (325 units total M36 and M37, M36 however was the more numerous) and refurbished in the 1950's to 82 Krh 37 Y standard, and that they were used in conscript training to preserve the Finnish 81 mm mortars for possible war, the Finnish 81 Krh/38 (later modified to 81 Krh 38 Y) was even more numerous at 364 units (1980's numbers). Also, beginning in 1971 the KRH 71 Y was introduced into FDF service - just one year after the Terra (which was delivered to FDF in 1970-1971 and properly introduced in 1971). It'd be more accurate in my opinion, if it mounted the 81 Krh 38 Y or then the newer 81 KRH 71 Y, as FDF mortars have always been mostly 81 mm, despite the looted 82 mm mortars. 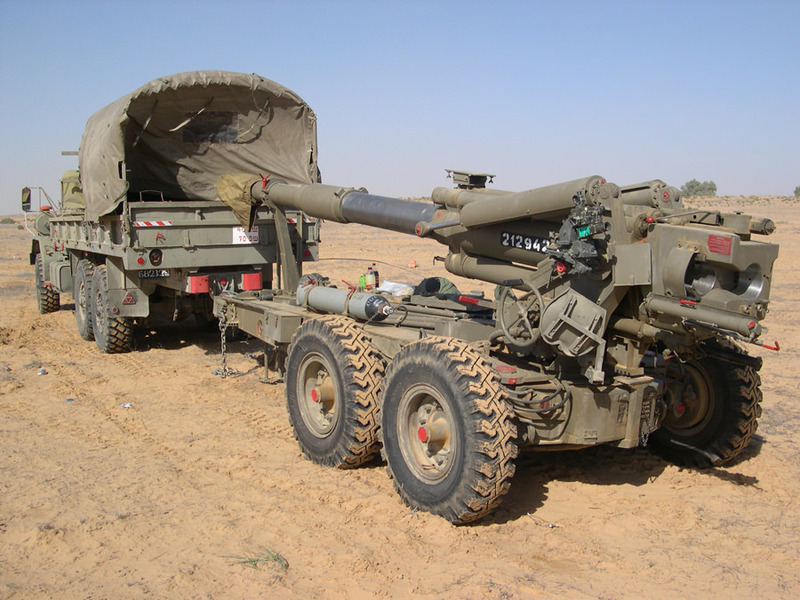 Also, the name annoys me a bit, since the abbreviation TELAKRH literally means "tracked mortar", more proper name would be KRHAJON "mortar vehicle", or KRHPAJON "wheeled mortar vehicle". I'm not sure if the Terra was ever used to transport mortars or if they were set ready to fire while being transported on it, but at least the SA-150 is used in such a way, so in other ways it's portrayed correctly.